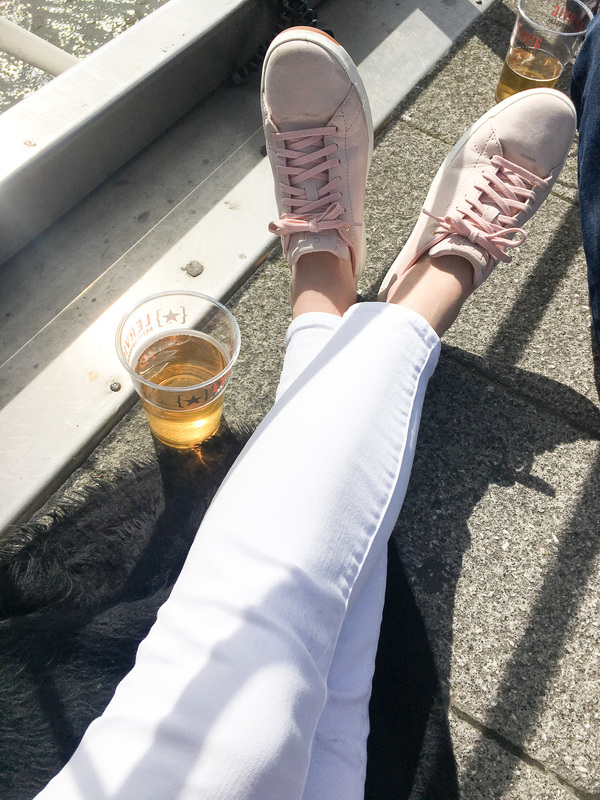 Today I’m sharing our first stop from our two week jaunt around Europe! 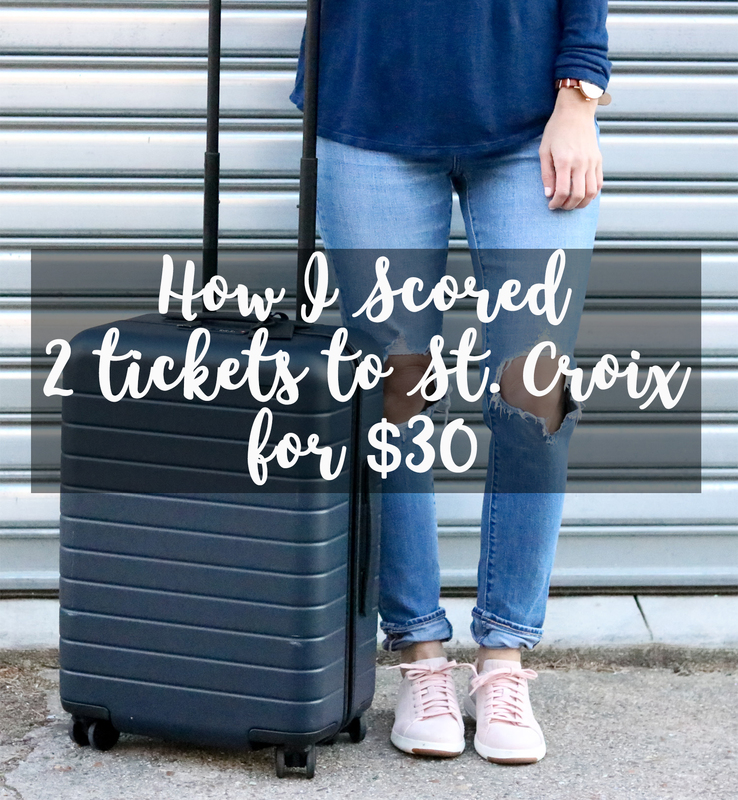 Michael and I used our accumulated Ultimate Rewards points and transferred them to United Airlines, one of their many travel partners, to book our trip! We left at 10:00pm out of D.C. on a Friday night and after a 6 1/2 hour direct flight, we landed in London at 10:00am local time. It was the easiest flight! 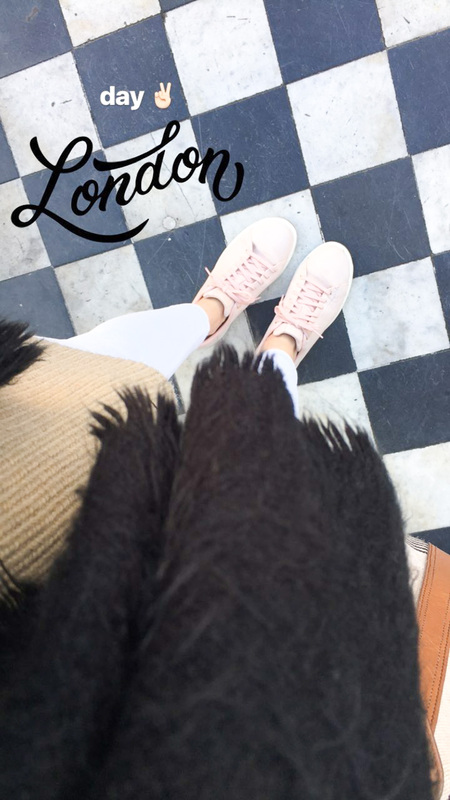 We only spent two nights in London, so let’s jump right in to where we stayed, what to do, and where to eat! 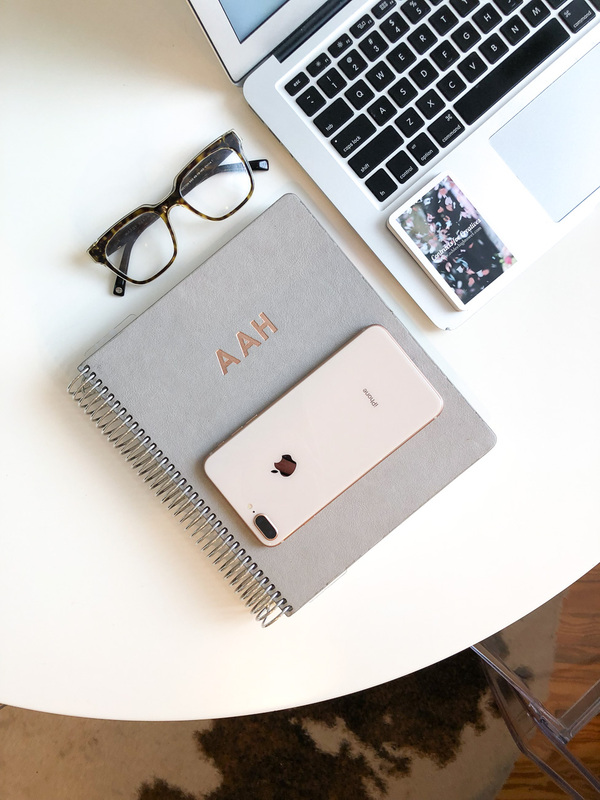 Y’all know I’m a fan of Airbnb (check out this post and get $40 off of your first stay!). 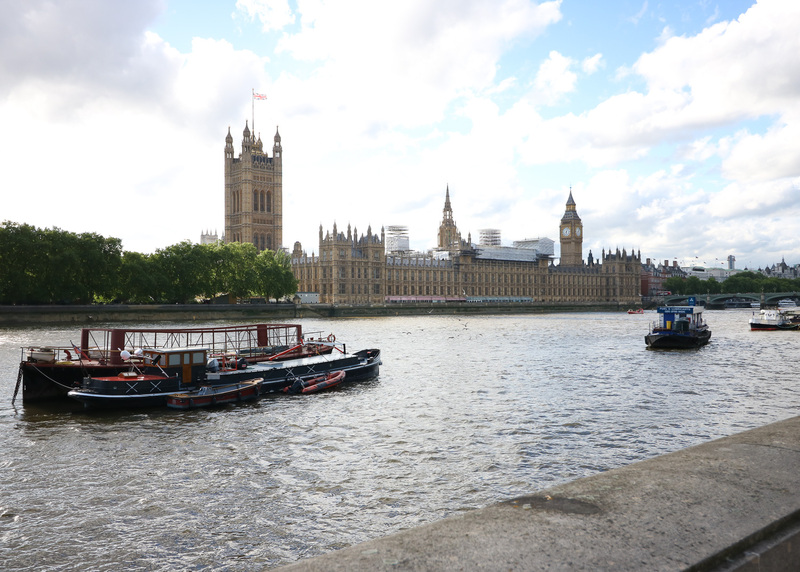 We stayed at this adorable spot that was no more than a 10 minute walk to Parliament, Big Ben, and the Thames River. Iana, our host, was amazing. She greeted us upon arrival and answered any questions we had throughout our stay (via text message). The Airbnb itself was so cute, spacious, welcoming, and had loads of charm! I highly recommend her place if you’re visiting London! 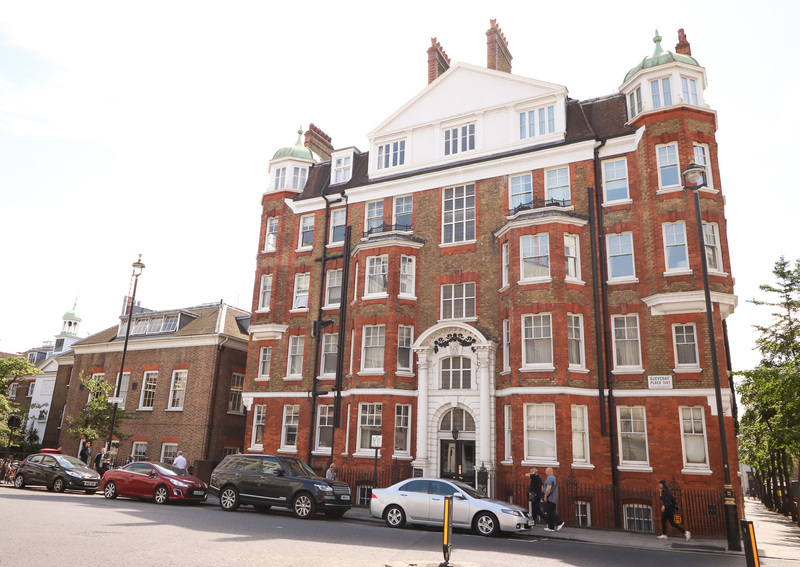 You’ll likely see me mention this in every city recap from our trip, but we didn’t take one single car (not an Uber or a taxi), during our stay in London. We either walked or took the Tube (their subway system) everywhere. 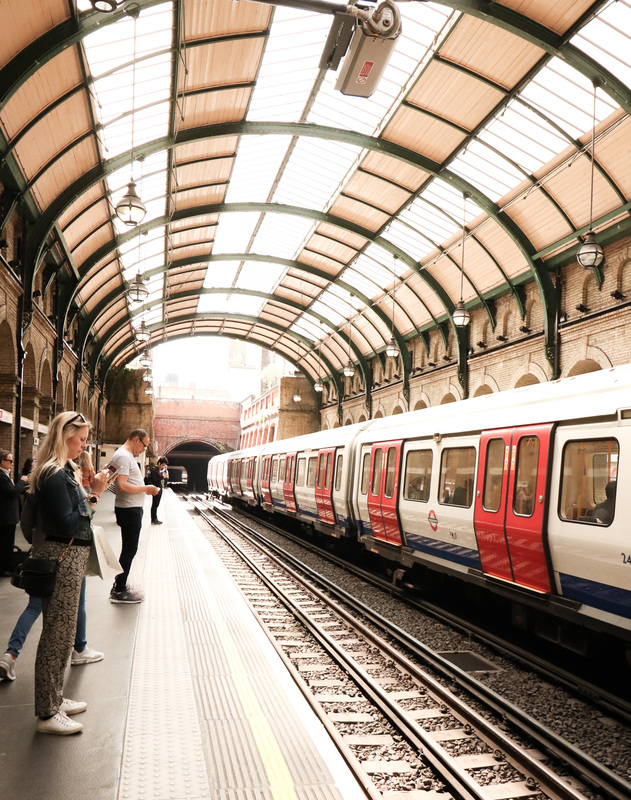 Upon arrival, be sure to purchase an Oyster card (their subway card) and use Google Maps – it shows subway routes and the system is super easy to navigate! 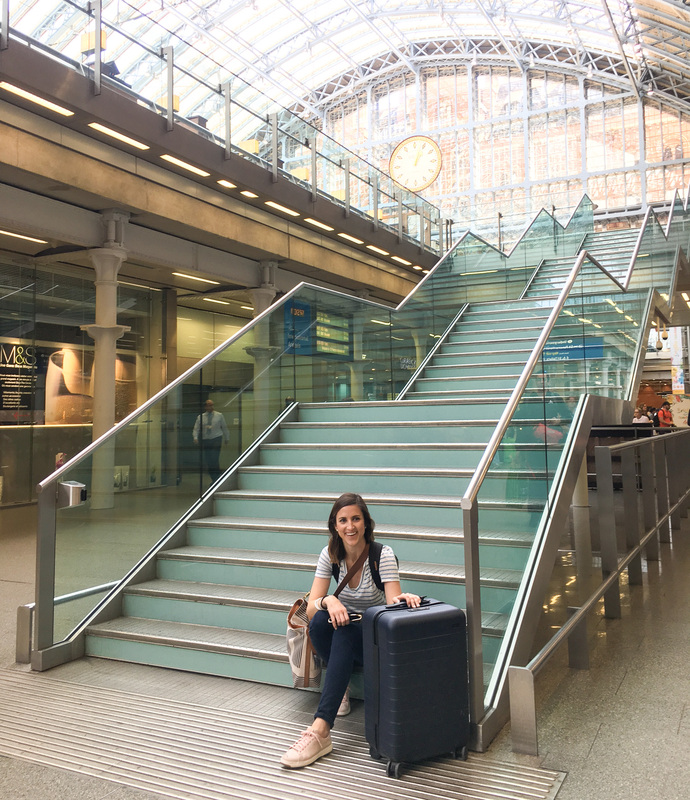 The train even goes to and from the airport – we saved so much money this way! 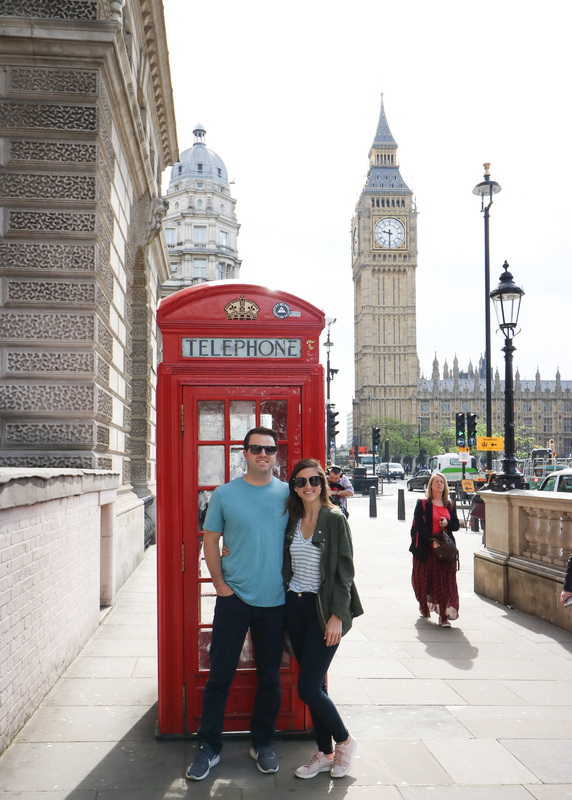 It was Michael’s first time to London, and only my second since high school so we had to hit up all of the touristy spots! We spent an entire afternoon walking along the Thames River. 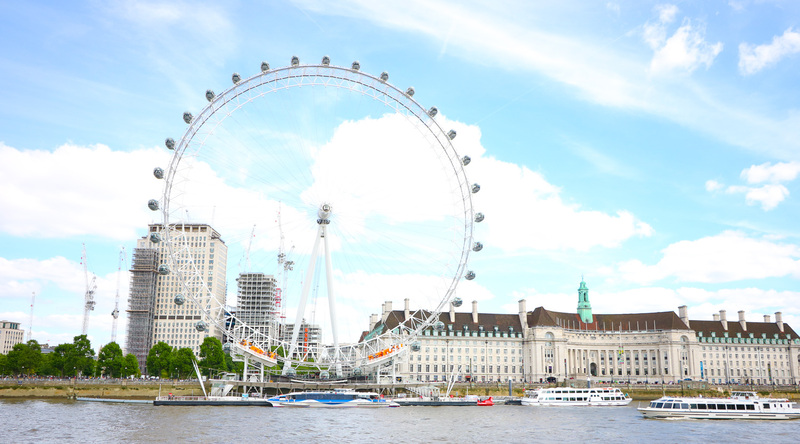 If you start at one end, you can walk from Parliament and Big Ben to the London Eye down the river past tons of restaurants and bars and on to the Tower Bridge! We did this walk in various chunks throughout our two days in the city. 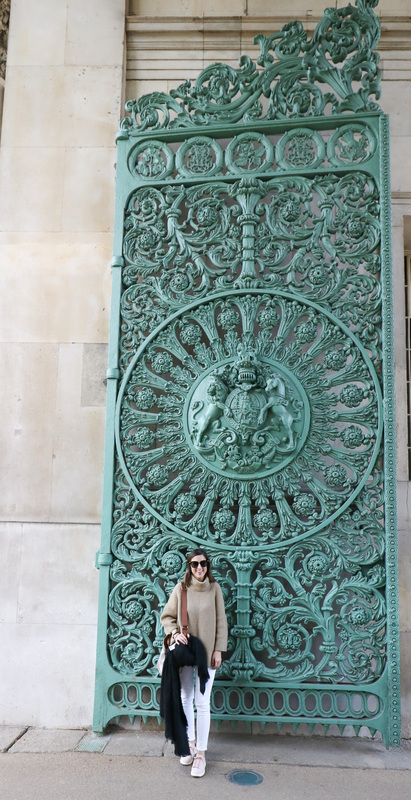 You can’t go to London without saying hello to Queen Elizabeth! 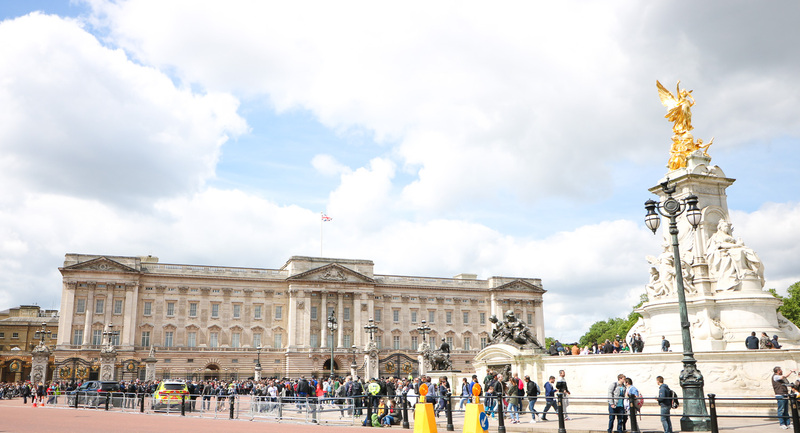 We spent one morning wandering around outside of Buckingham Palace. The amount of people there was crazy! It was definitely the most tourist packed spot that we visited. Hyde Park is near the Palace so we strolled through there as well. 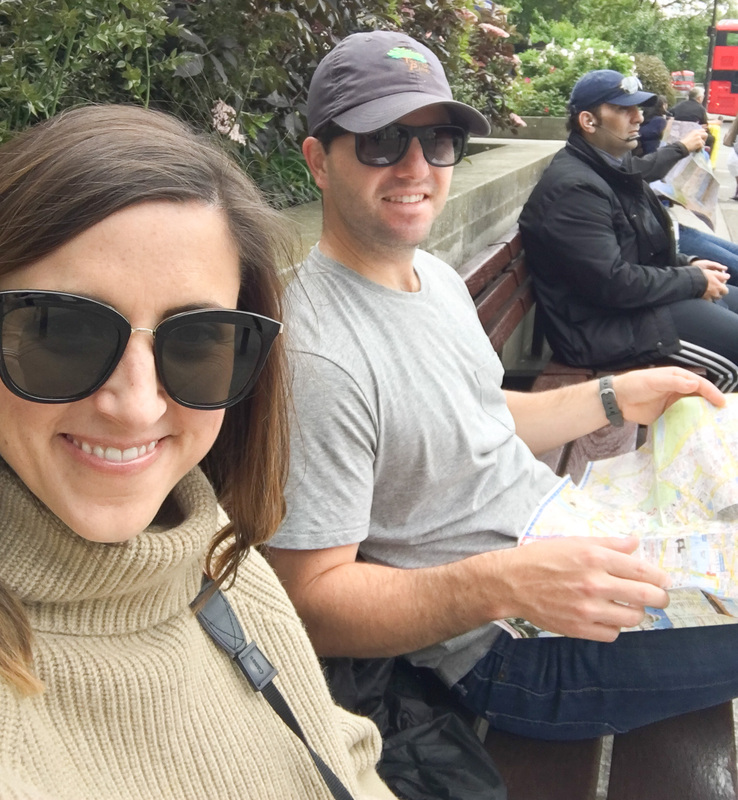 It’s similar to Central Park – The weather was perfect when we were in London so it was really nice to leisurely walk through the giant green space where there were tons of runners, bikers, and people out and about playing an assortment of sports. 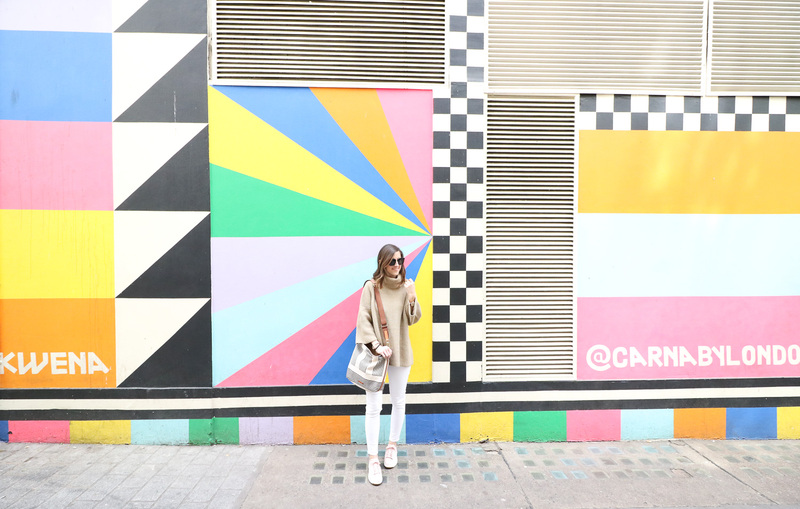 Also within walking distance is Carnaby – Located in the heart of the West End neighborhood, Carnaby is a collection of 13 streets with the cutest shops, murals, cobblestone streets, restaurants, and bars! 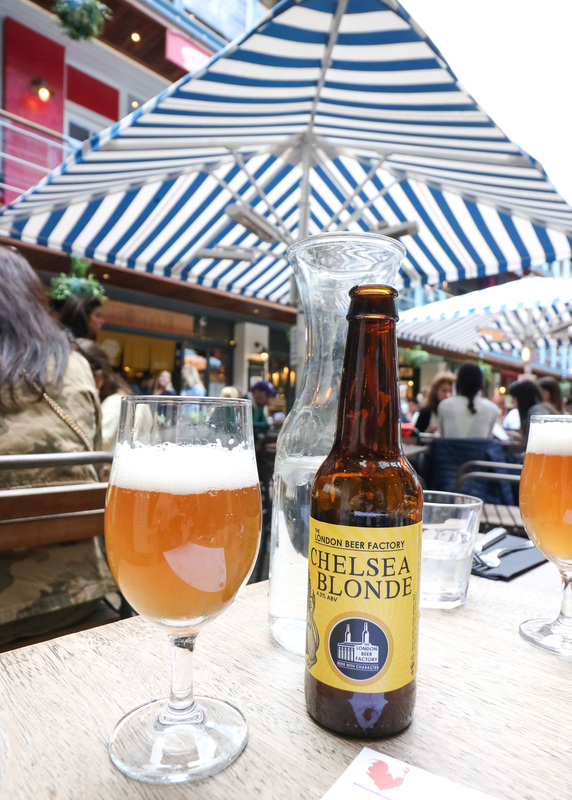 A great place to pop in a few shops, eat lunch, and grab an afternoon beer! 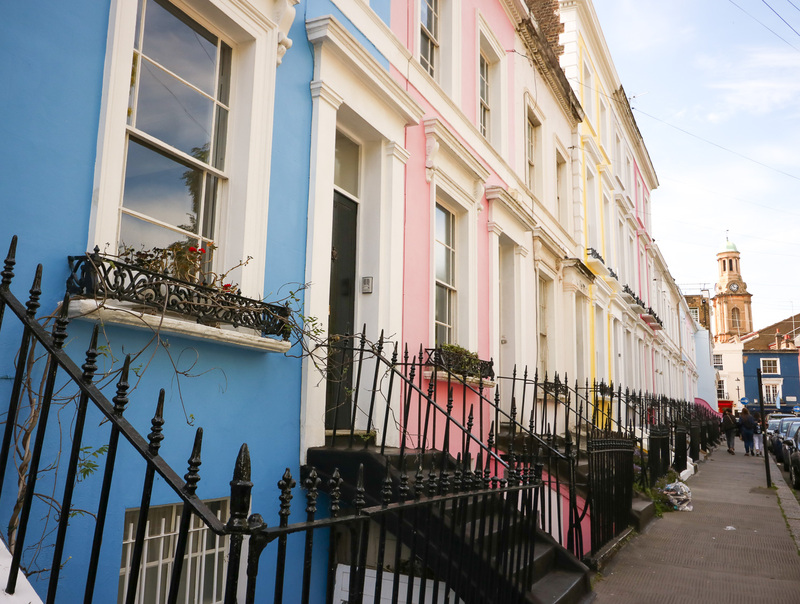 We spent our last half-day exploring Notting Hill. 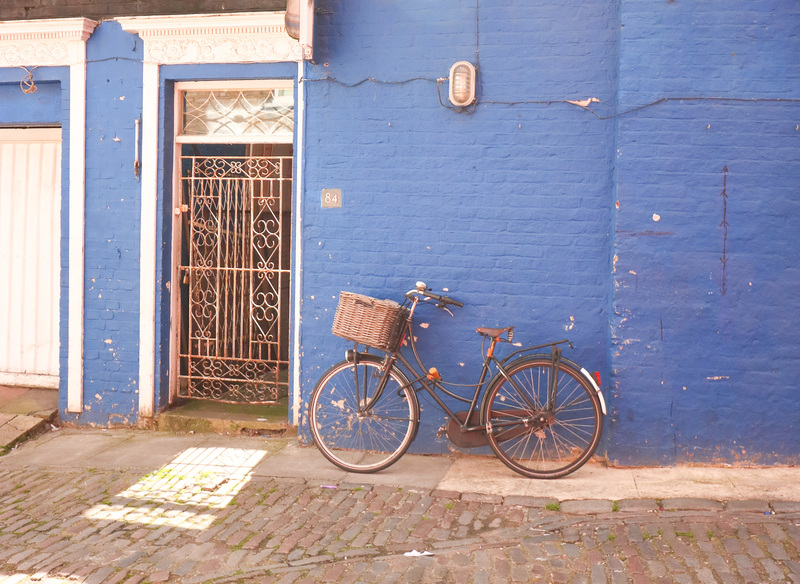 When I visited London in high school I thought that every piece of London would look like the movie Notting Hill (ha!). I didn’t make it to the neighborhood on my first trip so this was a high priority on my list! Y’all, it did not disappoint! It reminded me a lot of Georgetown, here in D.C., with colorful row houses, beautifully landscaped yards, the cutest shops and restaurants … you get my drift! 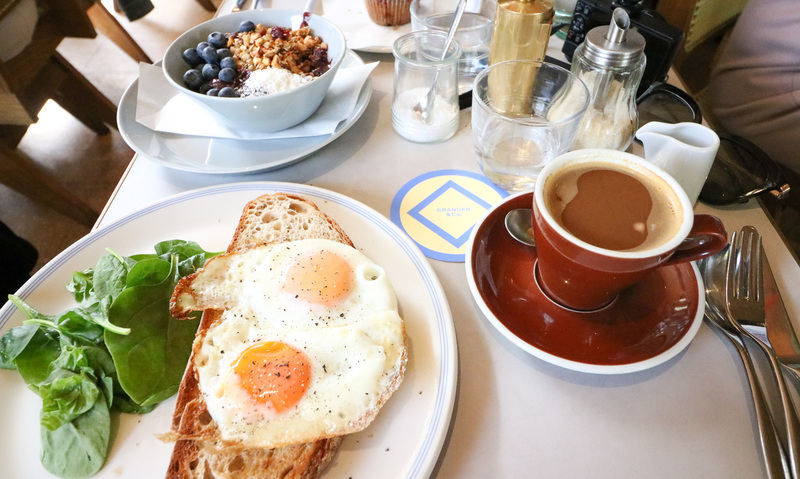 Iris & June – The cutest little neighborhood cafe that reenergized us the morning we landed! 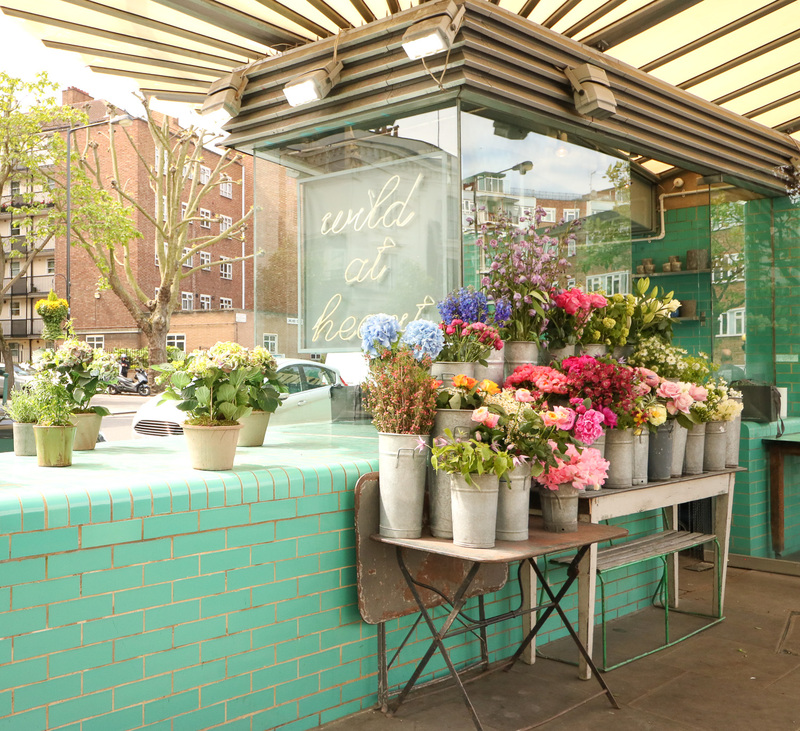 Pimlico Fresh – Another small, neighborhood spot. The latte, granola and yogurt bowl, and the croissants were so delish! It’s a small place, but tables turn fast. 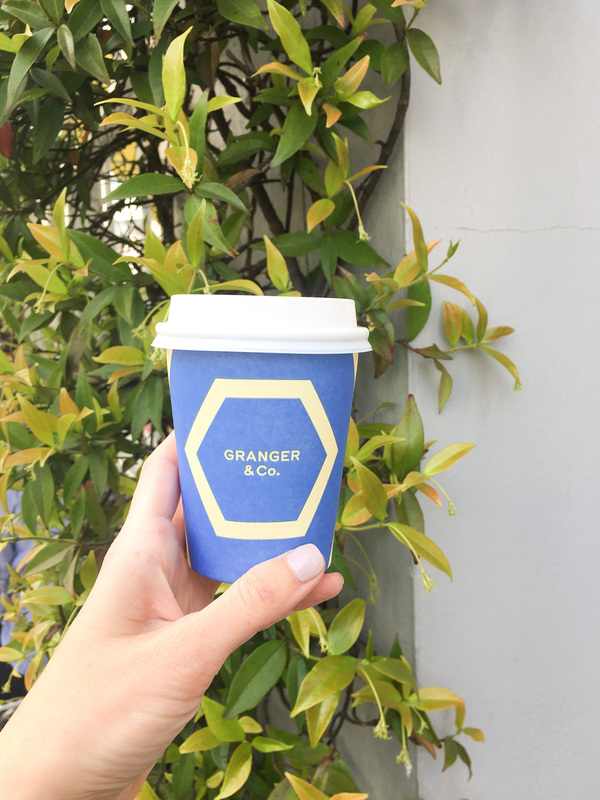 Granger & Co. – We went to the Notting Hill location, but there are a few locations throughout the city. I HIGHLY recommend this place. 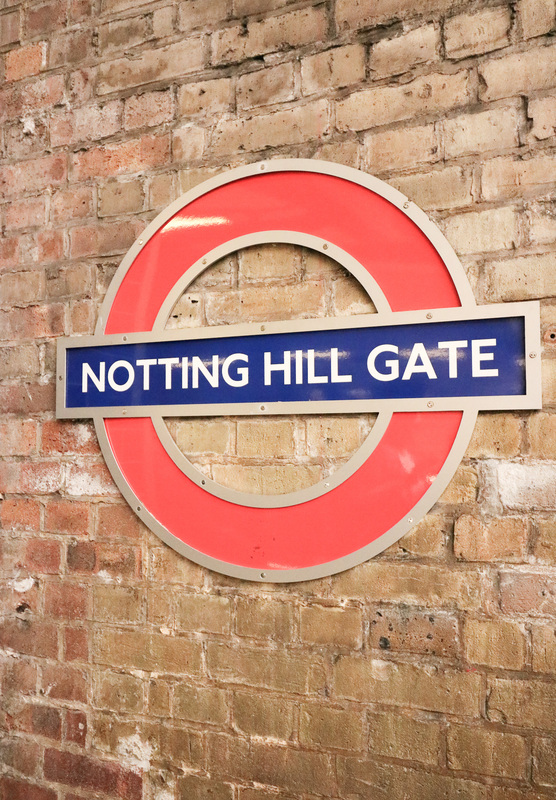 The Notting Hill location was so adorable, charming, and had a great local feel to it. You won’t be disappointed! Whyte and Brown: In Carnaby. Great outdoor seating. This restaurant is tucked away in a little square in between a few of the streets in Carnaby. The square is filled with outdoor seating for several different restaurants so there are lots of options right in this area! Arabica: A Mediterranean restaurant in Borough Market that was delicious! The space is really cool and Borough Market itself is a bustling place full of different bars and restaurants. The wine was amazing and the food was equally good. I can’t remember what all we had, but I do remember the hummus and falafel being standouts! The Queen’s Arm: In Kensington. This spot was close to our Airbnb and recommended by our host. If you’re in the neighborhood, it was a great local spot. We were there on a Sunday night, and I definitely felt like we were the only tourists there. I had the burger and a beer – both hit the spot! If you’re walking along the Thames River (on the side with the Eye), there are really cool pop up food trucks along the river and food stands under one of the bridges. 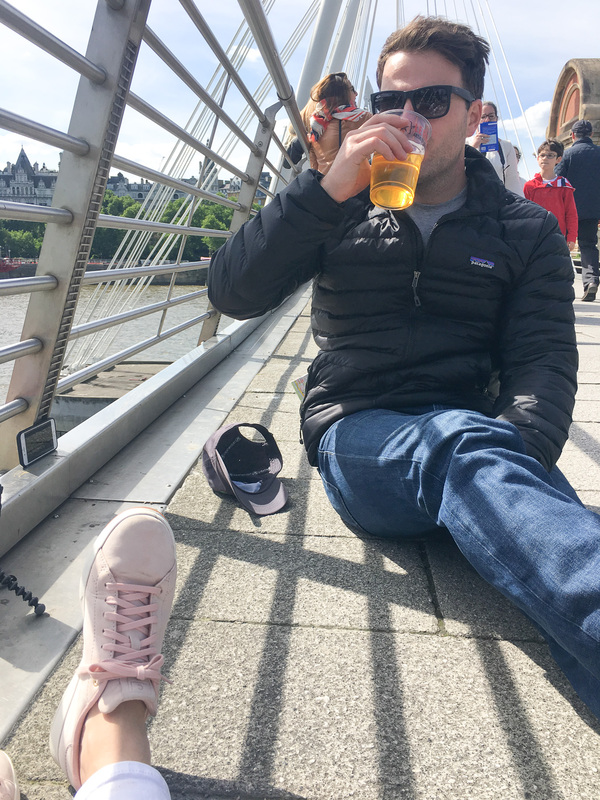 We grabbed beers one afternoon from a beer stand and took them to the foot bridge above and just sat and watched all of the boats passing by as well as all of the people! We also snagged yogurt one night from one of the food trucks. And then we were off to Paris! I’ll have our Paris recap up next week so be sure to stop back by! Michael made a little video recap of our time in London – you can check it out here if you’re interested! Take advantage of the awesome Airbnb properties! Loved your recap! I studied abroad in London and it’s hands down my favorite place in the world. I actually am baffled when people Uber around London. The Tube is SO easy and such an efficient system, why wouldn’t you take it?! They make it so tourist friendly, too. I seriously miss it in NYC, where the subway is so grimy and gross/always delayed, haha! I bet studying abroad there was amazing! And totally agree re the Tube! I think it’s intimidating to some people, but after taking it one time, it’s super easy to figure out!